I’m sure if you’re reading my blog then you’re probably one of my Tribe members already. Thank you for that support! You rock! If you’re not in my Tribe yet then I’d bet that you’d like to know who I even am. I’m ok with that. Odds are you found me randomly and I’m VERY ok with that too! I love gaining new friends and meeting people from all over the world that are from all walks of life. I would love for everyone in the world to know me one day. Dream big, huh? But hey, that’s what dreams are. The bigger the better! Here’s a few bits of info about me that you may like to know. I can’t wait to get to know everyone else as well. Please don’t hesitate to chat me up! I’m a creative at heart. I started this blog as a creative outlet for my dreams. I love connecting with people. All kinds of people. 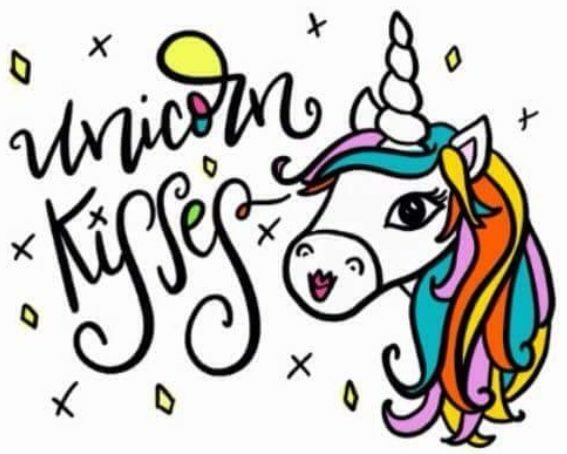 I have the biggest heart for you all hence why I’ve started calling you all my Unicorn Kisses Tribe. I hold the term “Tribe” close to my heart because it means you’re my people. I love you all, truly. Very Much. I started my journey as a SeneGence distributor. I’m still a VERY active distributor (holla atcha girl if you’d like some AMAZING makeup/skincare products or you’d like a life changing career!) but I am by no means a pushy person. That’s not my personality so no worries. SeneGence has opened an insane amount of doors for me, including blogging. I had no idea this was what I wanted in life until this amazing company told me I could be anything I wanted to be. Lifestyle blogging, motivating people to reach their fullest potential, and loving on people is my passion. It truly makes my heart beat it’s strongest beats. I’m also a makeup artist through SeneGence. I’ve always loved makeup to the highest degree so keep following me here and there will be plenty of makeup and beauty content in the future. So maybe I’m a Lifestyle, Motivation, and Beauty blogger? I have no idea yet but that’s definitely where life is taking me and that’s what I’d LOVE to be. I’m pretty pumped to find out. I already have a following via Instagram, Facebook, and Pinterest. My next step would be this blog and I’m venturing out to Twitter (yikes!). So follow me everywhere! I’m active on all these platforms and follow you or respond to you best I can. Links are up top on the drop down menu. I genuinely am SO grateful for all of the love, support, orders, follows, comments, emails, likes, and chit chats. It has meant everything to me. I love you all so much and I can’t say that enough. I’m just a girl from Louisiana. That’s it! I’m no different than you. That’s why I believe anyone can do anything they set their mind to. I’m here to hopefully help, motivate, entertain, and encourage you. No matter what you’re shooting for…I believe in your dreams just as much as I do my own. I’m absolutely down to collaborate with anyone who asks. Like I said, let’s help each other. That’s what life should be about. Well, I guess that’s all for now! We will learn more about each other as time passes. I can’t wait to see where this journey takes us all. Please bear with me as I find my groove with this and learn all about the beautiful blogging community that I’m really happy to be included in! Until next time! Hi sweetie, so excited to follow your journey 💗💗💗!